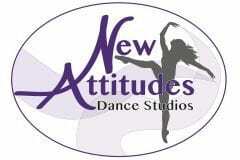 New Attitudes tuition for dance classes is based on a 9-month season running September thru May and may be paid in-full, monthly, or in half-year increments. Tuition rates below are per month, not per class. Tuition paid in-full receives a $20 discount. Tuition paid in half-year installments receives a $10 discount. *Please note that our Hip Hop Workshops have separate rates and are offered in three semesters during the year. Tuition is due the 1st class period of every month. The studio accepts cash, checks and Visa/Mastercard for payments. Your child may have some months with 5 classes/week, as well as some months with only 3 classes/week. There are makeup days available for most classes if you miss or there is inclement weather.